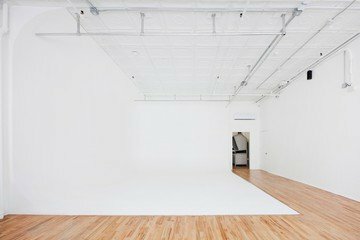 This photo studio in Tribeca is the most perfect location for any company, which has small photoshoot needs or wants a unique location for a small corporate event or workshop. 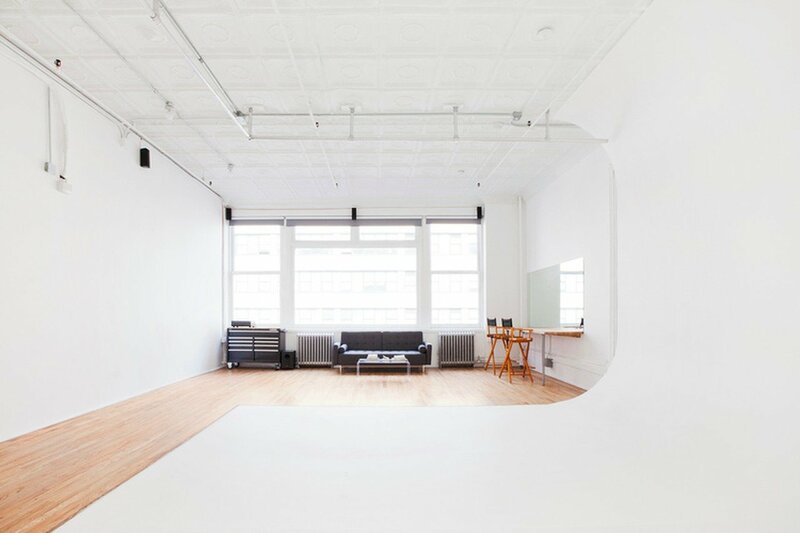 The 800 square feet studio can fit up to 15 people, in any setup you prefer. Thanks to the white modern design, the spacious daylight-flooded room has a positive atmosphere and stimulates creativity. This makes the venue optimal for a workshop which requires creativity and inspiration. 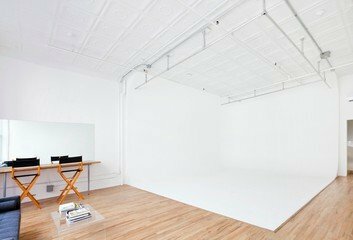 The photo studio in NYC is equipped with a music system, projector and screen which is included in the rental price. It is also possible to book extra chairs and a flipchart, as well as lunch and drinks, for some additional costs. There are also bathrooms, an elevator and a wifi connection for you to make use of. There are plenty of subway stations, with for example lines N, R, Q, W, 2, 4, 5, 6, J, M, Z, A and C, in direct vicinity. The area in which the photostudio is located, is a neighborhood of Lower Manhattan, the central borough of business and culture. WIthin walking distance from the NYC photo studio you will find plenty of bars, restaurants and also a park to have a little break. Your guests, especially those who are not from New York, will most definitely not only love the place, but as well the NYC surroundings. Plant filled studio with daylight, kitchen, full bathroom.